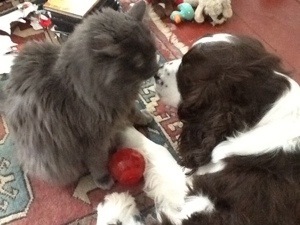 Kipper and Connor get on well for the most part. 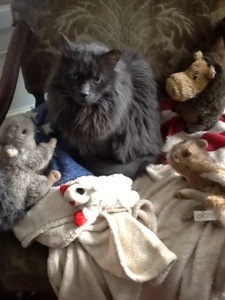 The occasional toy dispute ruffles a few feathers. 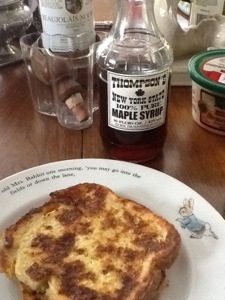 My first NY breakfast with local syrup for local people. 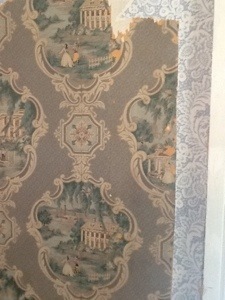 Removing one layer of wallpaper to find another: a southern motif. 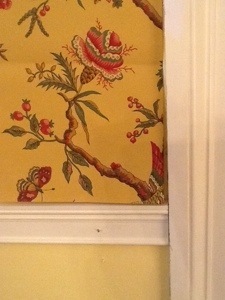 What the finished version of the sitting room will look like. Cheery! In less cheery news, have to replace the struts on my car. In the meantime, no strutting (I think that’s what it means). Ha! No strutting–good luck with that. I have ordered new struts. My strut shall return.